This image was sourced via my database by the client. All my files are shot in the raw format and proofed in a much lower res. 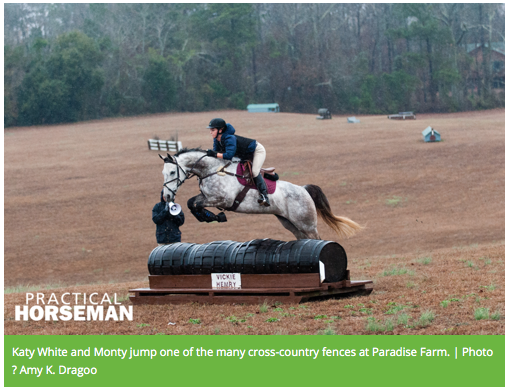 Photos from a whirlwind trip to Aiken, SC to document an eventing clinic won from Practical Horseman magazine, Cosequin and Phillip Dutton. The print version appeared in the March 2014 version of the magazine. A stock image from my database used to illustrate an article for both the print and on-line versions of Practical Horseman. Two images shot for an article by Olympian Jimmy Wofford on the use of draw reins for Practical Horseman magazine used for both the print and on-line versions.